Knowing my love of nature, a dear friend sent this absolutely amazing email yesterday. Wow! It was in synch with the blog Wonderful Things Are Happening. "God is the producer; that's why it is so magnificent! 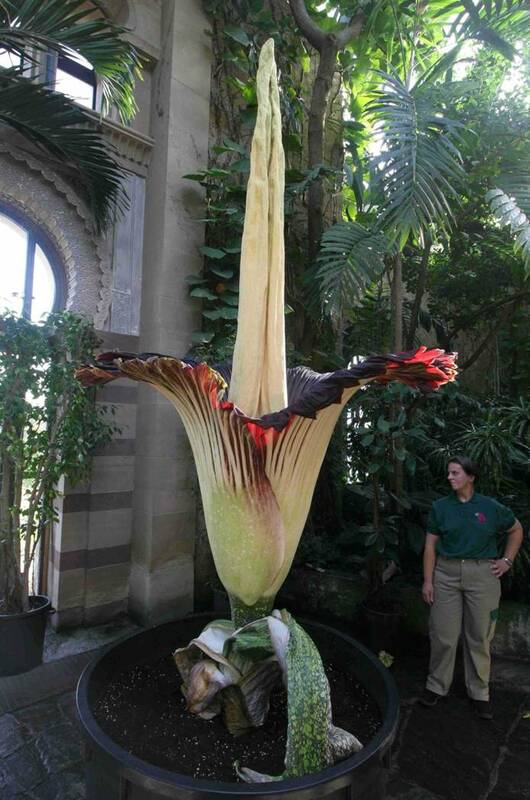 Keep in mind it only blooms every 40 years and for only 3 days." The largest flower in the world was blooming in Blanco, Veracruz , Mexico. Amorphallus titanium (Aracea) is 6 5/8 feet high and weighs 165 1/3 lbs. 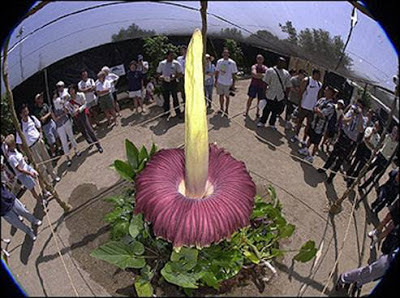 It has the peculiarity of blooming only during three days every 40 years, a rare sight few get to see. "Do you suppose God gave us a flower that represents the 40 years in the desert." The Zohar states that every flower has an angel watching over it whispering, Grow! Grow! Grow! This beautiful creation was well worth the wait.